What are refrigerants’ true impact on the natural environment? A central component in current HVAC system design, refrigerants can be used as energy-saving tools. 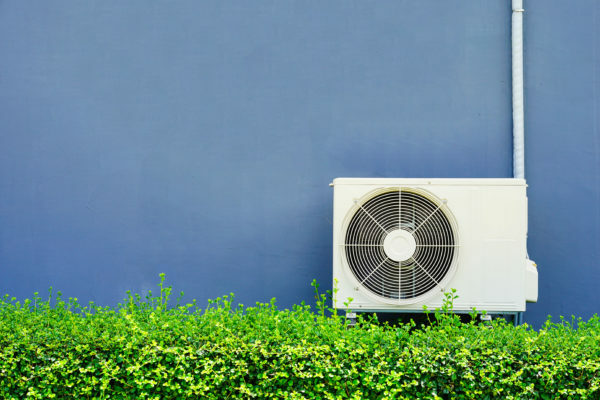 However, if released into the environment, many refrigerants have thousands of times the impact as CO2 and contribute directly to global warming. In this presentation, we explore what refrigerants are, as well as their quantifiable impact on climate change. We delve into natural alternatives, and present successful case studies that have achieved thermal comfort with minimal or no use of refrigerants. David has over 12 years of experience as an architect and as a high performance building consultant. He works to integrate engineering and architectural solutions into unified, ecologically-inspired designs for a variety of projects. He utilizes his unique holistic knowledge of the built environment to provide technical consulting services that assist in the design and implementation of highly sustainable solutions. A committed advocate for net-positive buildings, David is passionate about advancing building performance to create a carbon neutral future. Since joining PAE in 2015 he has provided expertise for projects pursuing aggressive sustainability benchmarks, such as Eastern Washington University’s N.E.S.T.T. Center (set to achieve Living Building, Net Zero Energy, and Net Zero Water) and the S Office Buildings in downtown Seattle (pursuing Seattle’s Living Building Pilot Program via the Water Petal). David recently earned a PHIUS Passive House Consultant (CPHC) certification. By participating in the CPHC Training Program, David completed a comprehensive training that included principles of passive building design, quality assurance and control protocols, and next-generation energy modeling practices. To maintain his credential, David will satisfy rigorous CPHC Continue Education requirements and stay current on advancements in the built environment.